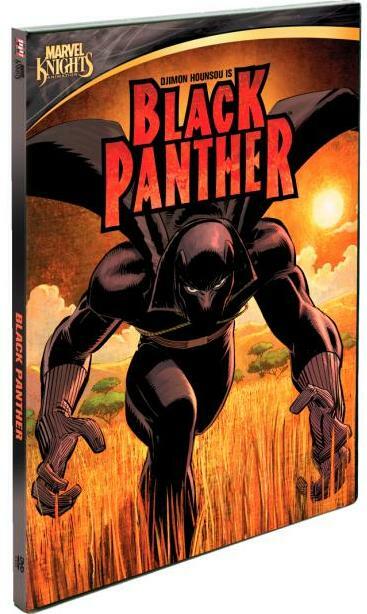 *Reginald Hudlin’s motion comic/animated series – Marvel Knights Animation: Black Panther is now available for streaming through Netflix Instant Watch. The 12-episode series was to debut on BET in 2009, but according to Hudlin, BET opted not to air it because they felt is was too male and young for their core audience. Each episode is only about 10 minutes long, for a total of roughly 120 minutes, or about a 2-hour feature. Among the voice cast, Djimon Hounsou, Kerry Washington, Jill Scott, Alfre Woodard and Carl Lumbly filling out the supporting roles.